2.5 Feet Heavy Duty DB-25 Cable Male-Male. Used to connect assorted serial devices. 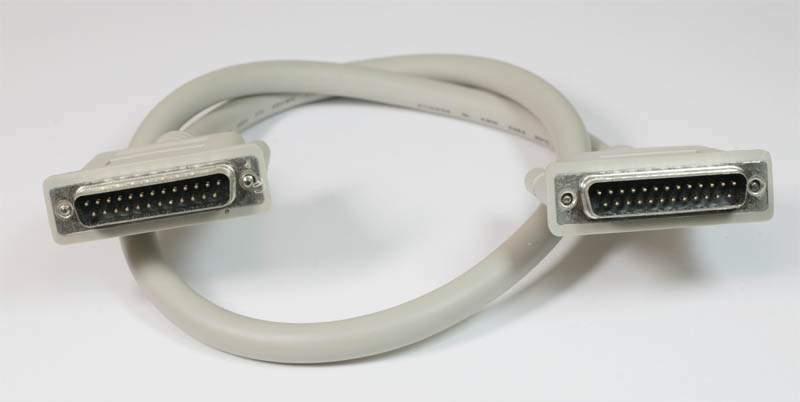 Also Can be used for SCSI Devices. Premium Quality Cable all 25 Conductors Straight Thu with Sheild.